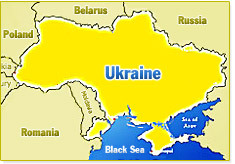 Kiev : Ukraine will freeze budget subsidies for the eastern territories controlled by pro-Russian separatists, the prime minister today announced a move that could worsen the already grievous economic conditions there. Aging industrial operations in Ukraine's economically depressed but coal-rich east have for many years relied heavily on state subsidies. Prime Minister Arseniy Yatsenyuk told a government meeting that USD 2.6 billion in state support will be held back from rebel-held areas in the Donetsk and Luhansk regions. He did not say what time period that subsidy figure represented. Kiev, May 26 - "Chocolate King" Petro Poroshenko has won Sunday's presidential election in Ukraine with an absolute majority, exit polls showed. Poroshenko won 55.9 percent of the vote, former prime minister Yulia Tymoshenko 12.9 percent of the vote, and Oleh Lyashko, 8 percent, Xinhua reported citing the national exit poll. Another exit poll, conducted by the TNS pollster at television channels' order, indicates that Poroshenko got 57.3 percent of the vote, Tymoshenko 12.4 percent and Lyashko 8.7 percent. Kiev, May 7 : Ukrainian Prime Minister Arseny Yatsenyuk met British Foreign Secretary William Hague to discuss ways to end the East European country's political and economic crisis. During the talks here Tuesday, Yatsenyuk said his country faced a number of challenges in the spheres of security and economy and reiterated the need for coordinated action by the international community to resolve the crisis, Xinhua reported Wednesday citing a government media statement. Hague praised the progress Ukraine had made in implementation of the April 17 Geneva peace agreement, it said. 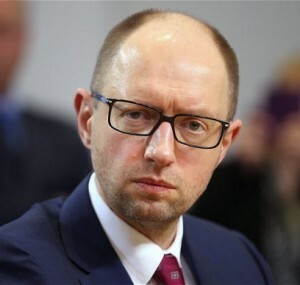 Kiev, May 5 - Russia should be responsible for the deadly clashes that killed more than 40 people in the southern port city of Odessa, Ukrainian Prime Minister Arseny Yatsenyuk said Sunday. "Russia's aim was to repeat in Odessa what is happening in the east of the country," Xinhua quoted Yatsenyuk as saying during a visit to Odessa. "What happened in Odessa was part of a plan by the Russian federation to destroy Ukraine and its statehood," he said. "Russia sent people here to create chaos." Kiev, April 29 - Ukraine has signed an agreement with Slovakia on reverse flow of natural gas deliveries, Ukrainian Prime Minister Arseny Yatsenyuk said Monday. "Ukraine has signed a memorandum of cooperation with the Slovak company, which envisages starting of reverse gas supplies via the territory of Slovakia," Xinhua quoted Yatsenyuk telling during a press conference. According to the deal, Kiev could annually import around 8 billion cubic metres of gas from the European market through Slovakia, Yatsenyuk said. Kiev, April 19 - Ukraine's acting Foreign Minister Andriy Deshchytsya Friday acknowledged the progress achieved in Geneva during the four-party talks over Ukraine crisis, but said some differences still remained. "Russia agreed to facilitate de-escalation of the situation in the eastern regions," Xinhua quoted Deshchytsya as telling media. Top diplomats from Ukraine, Russia, the US and the European Union reached a deal Thursday to defuse the ongoing crisis in eastern Ukraine and resolve dispute between Kiev and Moscow on the issue. Kiev, Feb 21 : Ukrainian President Viktor Yanukovych Friday announced an early presidential election as one of a package of measures aimed at ending the country's political crisis. The president agreed to hold the election before the end of the year, as part of a deal to end the crisis. "I am initiating an early presidential election. I am also initiating a return to the 2004 Constitution with the redistribution of powers toward a parliamentary republic," Yanukovych said. Moscow, March 17 : A daring Hollywood-style attempt to spring two inmates from a penal colony in Ukraine was foiled by prison guards, the country's penitentiary service said. A helicopter carrying two accomplices of the inmates, armed with a Kalashnikov assault rifle, which later turned out to be a dummy, landed on the territory of the Petrovskaya penal colony. The prison guards stopped the helicopter's takeoff, detaining the escapees and their accomplices, the service said. Kiev, Jan 24 - Ukraine boosted its production of crude steel by 5.7 percent to 35.3 million tonnes in 2011, said a report by the World Steel Association (WSA). Ukraine is the world's eighth largest steel producer, according to the report. The world's crude steel production reached 1.527 billion tonnes in 2011, increasing by 6.8 percent year on year, reported Xinhua citing a media report. China was the world's top steel maker in 2011, with a production of 695.5 million tonnes. Observers have said that about 100 Ukrainian journalists took part in a march in Kiev protesting media censorship by the government. RIA Novosti reported on Sunday that the journalists, members of a Stop Censorship movement, marched on Ukraine's Journalists' Day demanding an end to censorship of mass media. The protesters, escorted by police, marched from the Kiev main post office to the buildings of the Ukrainian Cabinet of Ministers, the Supreme Rada and the presidential administration. According to some media reports, Russia has said that it's considering a gas discount for Ukraine in exchange for being allowed to participate in Ukrainian energy projects. The state-run news agency RIA Novosti has reported that Russian Deputy Prime Minister Igor Sechin said on Saturday, "One of the questions we are definitely discussing is the possibility of a [gas] discount." Prime ministers of Ukraine and Russia said on Friday that the two countries have agreed to compromise on natural gas prices. Kiev - Russian Prime Minister Vladimir Putin gave critical support to hopes for stable natural gas deliveries to Europe, saying he found working with Ukrainian Prime Minister Yulia Tymoshenko on energy "comfortable," according to Friday news reports. "She (Tymoshenko) is a tough negotiator," Putin said, as a smiling Tymoshenko looked on. "But we have always been able to agree, and, in spite of all difficulties, we have managed to keep to all our commitments." Donetsk, Ukraine - When Otto Rehhagel won the European Championship with Greece in 2004 his success was hailed a miracle. If the German coach wants to take the Greek side to next year's World Cup finals in South Africa he will need a minor rerun of the miracle that took the team to victory in Portugal five years ago. After Saturday's first leg play-off for a place at the World Cup finals against the Ukraine, the advantage is firmly on the Ukrainian side. The goalless draw in Athens is not a result that will instil Greek fans with a lot of confidence ahead of Wednesday's return leg in Donetsk. Kiev - The Greek national side was on Thursday attracting unprecedented attention among Ukrainian football professionals and amateurs alike, as the former Soviet republic counted down to the first of a two-game qualification play-off for the 2010 World Cup. Ukraine's coaching staff had reviewed game tapes for the last eleven matches played by Greece, in preparation for the upcoming Saturday match in Athens, the authoritative Komanda sports newspaper reported. Ukraine flu fatalities rise, government warns of "battle"
Kiev - Ukraine's deadly flu outbreak spiked on Wednesday, as senior government officials warned of a "battle" to control the disease's spread. Flu and flu-related symptoms has killed 189 persons in the former Soviet republic, with 15 deaths reported on Tuesday, according to data made public on Ukraine's Ministry of Health website. The increased death rate followed Tuesday statements by Prime Minister Yulia Tymoshenko that Ukraine's severe flu outbreak was showing signs of abating. Kiev - Ukrainian Prime Minister Yulia Tymoshenko on Tuesday said new flu infections had dropped by a factor of four, signaling, she said, dramatic success in controlling the disease's spread. "All across Ukraine we have, at minimum, a four-fold drop (in flu infection rates) as compared with their peak from the second to the fourth of November," Tymoshenko said, in remarks reported by the Interfax news agency.